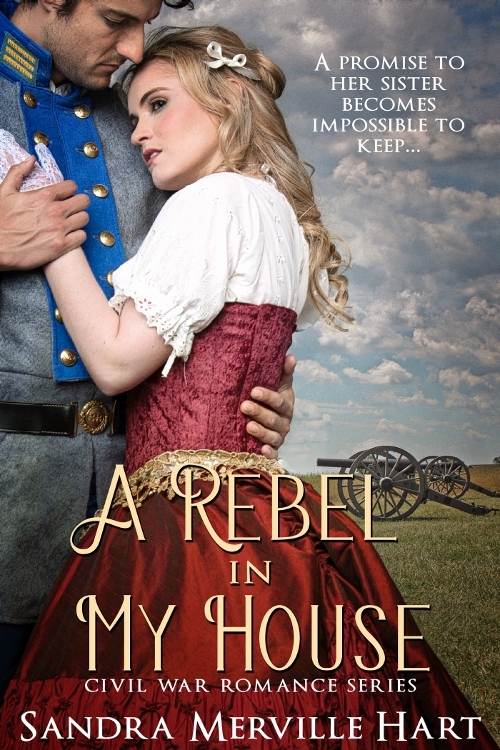 Linda: Your latest book is the second in your Civil War Romance series. Where did you get the idea for your story? Sandra: I had a feeling that there was a story waiting for me in Gettysburg. My husband and I went there to find it. We started at the battlefield where I found Tennessee regiments that fought the initial battle on the first day and were part of Pickett’s Charge. We attended ranger talks and tours. An idea began to form. Gettysburg has many wonderful museums—we visited them. We took evening walking tours and walked the town’s streets around the “Diamond” where women and children lived through a nightmare. Then we returned to the battlefield. Standing on Cemetery Ridge at dusk, I stared at the open field crossed by Pickett’s Charge. Though the land is peaceful now, it still tells a story. I also wanted to show what the townspeople endured. The idea for A Rebel in My House was born. LM: You are an editor for DevoKids.com. How does that affect you as a writer? 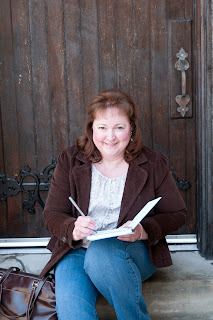 Sandra: Besides editing the few submissions we receive, I write a lot of historical articles for DevoKids.com. The three main areas I write for on the site are Adventures in History, God’s World, and Holiday Traditions. This task has honed my skills for writing articles. Even a 200-300 word article requires research; I’ve become a better researcher. Learning where to find free images to enhance the post helped me for my own Historical Nibbles blog. LM: Your website is full of fascinating historical information. Have you always enjoyed history or did something in your past spark an interest? Sandra: Thank you! I’m thrilled that you like my blog. I had a great history teacher in high school. She brought history to life. It was the first time I thought of historical figures as people who struggled and triumphed as we all do. Then I took an elective in college for World War I. The teacher grabbed my attention the first night and held me spellbound with fascinating, behind-the-scenes, glimpses of the history. My fascination with the Civil War began as a child with stories of brother against brother and father against son. I wanted to know more, even when in elementary school. LM: Do you have an intriguing research story to share? Sandra: When I went to research in Gettysburg for this novel, I decided to pay for a private ranger tour. I asked our Battlefield Guide, Clay Rebert, if there were any Tennessee regiments in the battle. I told him I was researching for a novel and didn’t have a clear idea of the story line yet. I study the history first and then the story solidifies. Our guide tailored the tour for my research and even missed part of his lunch hour. I had offered him my homemade chocolate chip cookies during the tour. He declined. My husband assured him that my cookies receive lots of compliments. He was very gracious and knowledgeable, answering all the questions I had at the time. When he missed part of lunch because of our tour, he accepted a couple of cookies and a bottled water. I hope that tided him over! Sandra: I write in my office. I turn on a box fan to mask background noise. That helps me focus. Sandra: Thanks for asking! I am writing a Civil War novel set primarily in Tennessee. 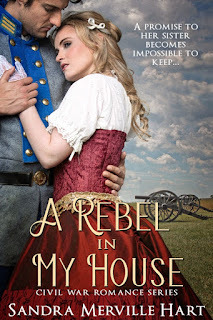 A friend told me that a husband and wife served in the Confederate Army together. That sparked lots of research! An idea was born for a very different story. My working title for the new novel is A Lady in My Regiment. LM: That sounds intriguing! Where can folks find you on the web? Thank you for hosting me on your wonderful blog, Linda! I enjoyed being here.